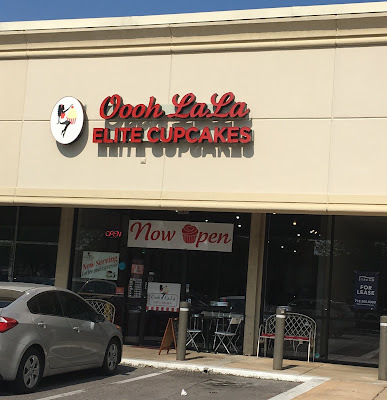 I was a little confused when I discovered there was a second cupcake bakery in Houston with Ooh LaLa in the title. But since they are unrelated to each other, the way to differentiate the two is by their different spellings of the saying. I'm not gonna lie; I completely judged Oooh LaLa Elite Cupcakes before even visiting the bakery. With a name like that, well, how can you not? 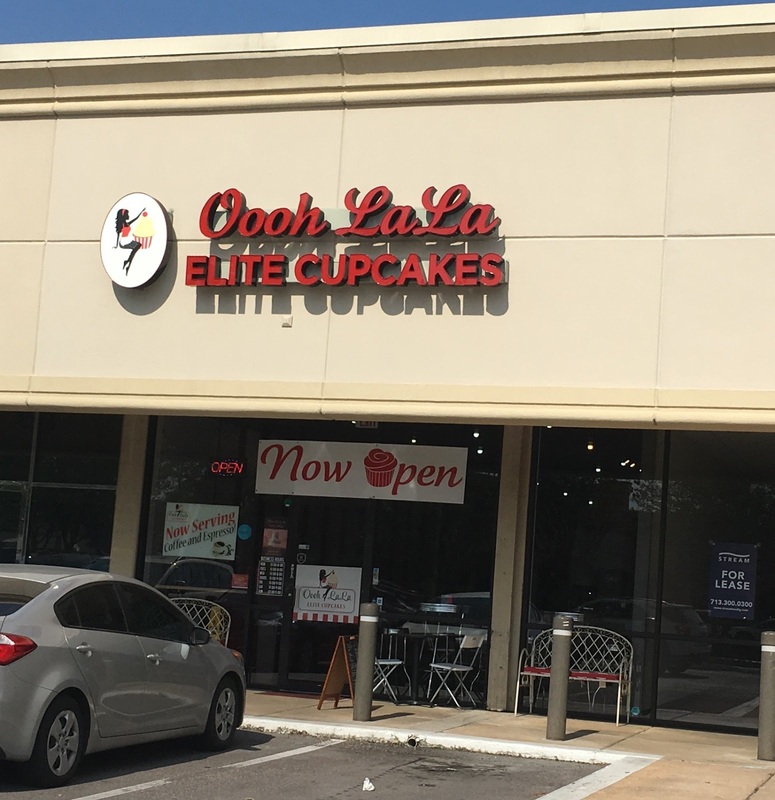 Oooh LaLa Elite Cupcakes was a bit of a trek up north of Houston, near Willowbrook. 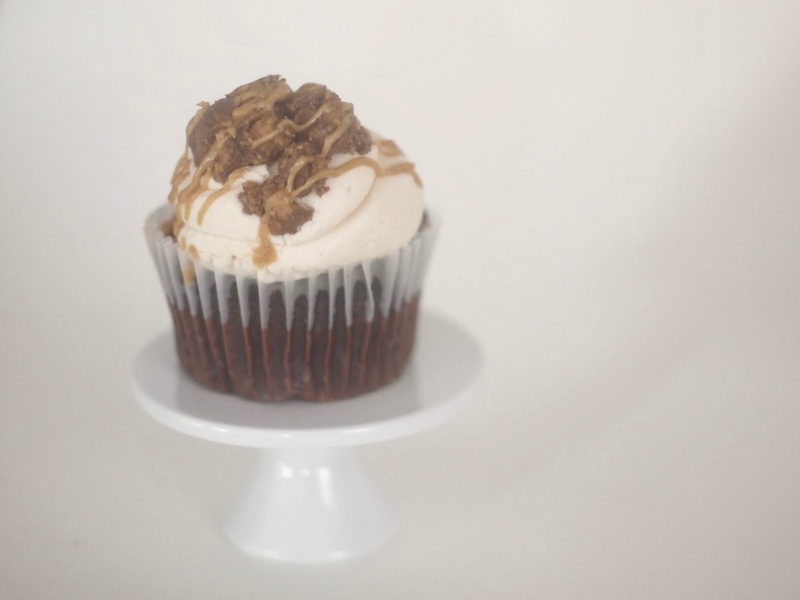 My schedule is a little lighter than normal these days so I decided to take a little day trip up there to test out an elite cupcake. While there is a set schedule of flavors on rotation, Sunday happened to be baker's choice day. Most of the cupcakes were of the chocolate variety and I settled on their chocolate peanut butter cup. Almost all their cupcakes are $3.50 but this particular one as well as the coconut cupcake were $4. I was hoping my judgement would be proven wrong and these cupcakes would turn out to be "elite." Sadly, I cannot report that. It was pretty uneventful and just mediocre, although it had a pretty good sponge and it wasn't overly sweet. It just didn't compare to the latest tasty cupcakes I've had in the past couple months so this one falls in the abyss of the many unmemorable cupcakes I've consumed in the past 5+ years.